The Right Brain Initiative needed an identity package to showcase their work with Any Given Child—a national project with a mission to promote equitable arts education. 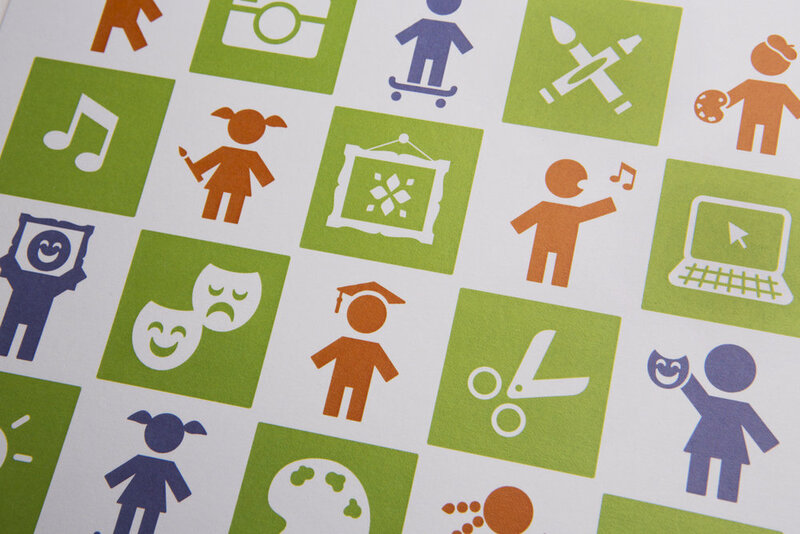 To imbue the report with a kid- and arts-friendly identity without using images of children, we created custom iconographic illustrations of children engaging in creative work, while information was crafted to be as bold and accessible as possible. The package included event graphics, a lively poster invitation, and customized templates for staff to use.